I love roses! I hate roses! I love roses! I tread a fine line between love and hate when it comes to roses. One of the first “big” garden projects I did as a new gardener was to plant a rose garden. I’ll never forget when about 30 bare root roses arrived in the mail. They had to have their roots soaked in water overnight (didn’t know that until they arrived) and so we had roses sticking out of two bath tubs and four sinks, plus lots of buckets. Trial by fire for sure, but I managed to get them all properly planted and had some lovely flower arrangements that year. That was about 20 years and three houses ago. 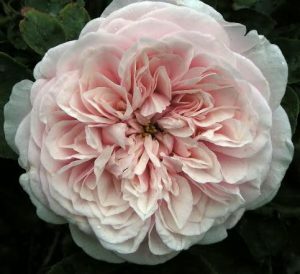 At Acorn Hill, our current property, I planted only a dozen or so roses; the old fashioned shrub type with rangy habits, a single early flowering, and heady fragrance, plus a couple climbers. I planted them in a sunny space with good air circulation and lots of compost. I occasionally sprayed them with a baking soda and dish soap solution in an attempt to fend off the tiresome black spot. I had some success, but it’s a preventative and often I didn’t get to it in time. The first few years I slopped around a bucket of soapy water hand-picking Japanese Beetles, but eventually gave up on that for the gross factor. This last planting of roses bloomed reliably every year in late May, early June. I enjoyed the floral display and when it was over and the foliage started to look ratty … well I just looked away. That was until the onset of Rose Rosette Disease. This starts as really red, congested foliage (think witches broom). There is no cure for it, so an infected rose should be removed IMMEDIATELY. Read more about it here. I dug out the first Rose Rosette victim, probably too late as others soon followed. The virus is spread by a mite that floats along on the wind, so roses planted in groups are in particular jeopardy. I replanted this garden bed with a nice low-maintenance combo of switch grass and prairie perennials, and thought that was THE END of my affair with roses. Never say never again. For the last few years when the rose catalogs arrived, they went straight to recycling. This year, the David Austin Rose catalog caught me unawares. 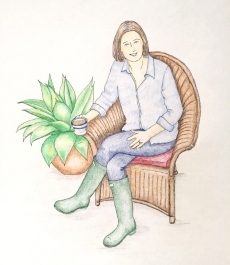 Sitting at the kitchen table, casually flipping pages while chatting on the phone, I saw A Rose in a Pot! This may not be news to you, but I had really never considered growing roses in containers. Well now, I thought. This IS interesting. 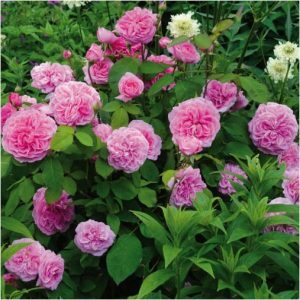 Soooo, I have a list of ten roses I’d like to try in pots. I will pare this down to six due to my new personal policy of using a modicum of restraint when purchasing plants. Most will be English Roses with repeat flowering and excellent fragrance. I’ll put them in terracotta pots so they’ll look good in any garden spot. I plan to spray or paint the inside of the pot with sealer to prevent water evaporation through the pot walls. There are several terracotta sealers available. Follow this link to see the ten roses that I will choose from. 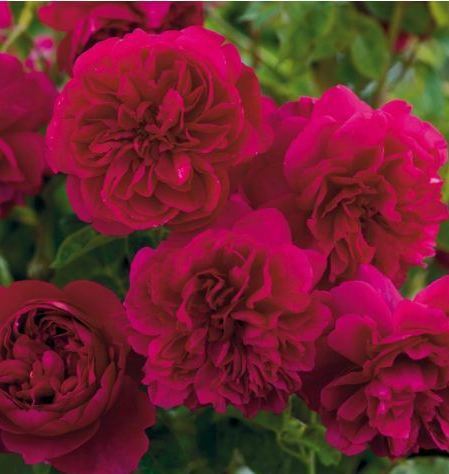 Rosa ‘Gertrude Jekyll’ is a must have because the rose is lovely and she’s my hero.